Valentine’s Day is fast approaching. 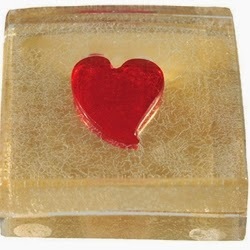 Less than ten days to go before the day of love arrives in shades of pink and red, and tiny hearts patched all over it. If you have already got the perfect gift for your significant other, kudos to you. But if you haven’t, chances are that so far you have no gift ideas and may be you never will. This is where we step in. We bring to you an assortment of gift ideas that might be your only saving grace, come 14 February. 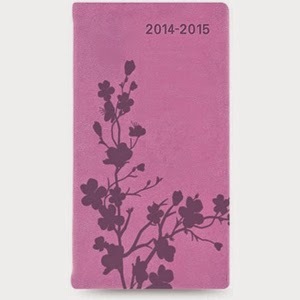 The pocket sized academic calendar could be a way of saying “Every step you take, I will be with you”. It is unconventional but what is a Valentine’s gift if it is ordinary. The sturdy faux leather cover is a soft shade of pink with lilac imprints on them and comes with a ribbon bookmark. The white pages inside features holiday information, dates and weeks, notable dates and more handy information. It is a great gift for a girly soul who likes to keep organized. Plus it is easy on the wallet. For the one that you wish to be with forever, what better gift than one that would last forever. 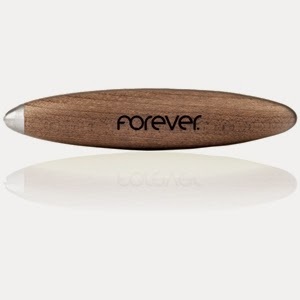 Napkin Forever Cuban Inkless Pen is a stupendous pen crafted from recycled wood. 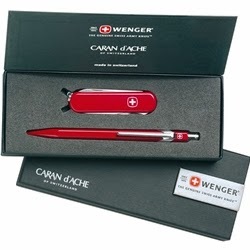 Ergonomic in design (so that your loved one should never experience hand fatigue and cramps again), the pen features an alloy metal for a tip which scribbles just like the graphite tip of a pencil, but it is inerasable. And the metal alloy doesn’t wear down, making the Cuban Forever an everlasting gift. The pen is a beauty. The metal body has cool blocks-like patterns engraved on it and is complemented by chrome trims. It is smooth and elegant, and while it looks delicate and soft, is pretty sturdy in built. It can easily be an everyday pen. You can also find it in fountain pen mode if you would prefer that. It is just gorgeous. Just not as gorgeous as your beloved. It is unique, just like your S.O. Stylish, classy, different and pure joy to be with could be the adjectives that define your beloved and they do the same for the Pilot Namiki VP fountain pen. And what is more Valentine-y than a splash of bright red. Personally, I totally have dibs on this and so should you. It is a stunning example of imperfectly perfect things. Handmade in Italy, no one piece is the same and there lies its uniqueness. And doesn’t the little red heart totally scream love? It is a masterpiece that would have anyone over the moon upon receiving it. 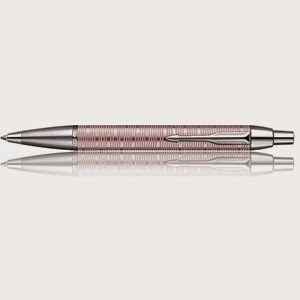 What better way to ask someone out on Valentine’s Day than to let a pen do all the talking. 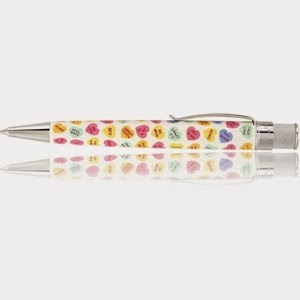 The “Be Mine, Hold me, Wink Wink” cover on the Retro 51 4 Ever Tornado Popper Rollerball Pen is really sweet and a limited edition. Pair the gift with some flowers and a box of chocolates and sweep your love off her feet. The gift set is the coolest thing to gift your loved one, who is always up for outdoor activities and going around fixing things. So what if you cannot gift them a yacht, the streamlined Waterman Carene Glossy Red Ballpoint Pen will do the magic. It is a beauty in its own right and will lighten your wallet a bit too. But it is worth every penny.